A couple of years ago when I went to Tobago, all my friends had gotten their lashes done. I was so jealous that they could just wake up and go about their day without having to put on any makeup. I swore that any future vacation that I took, I would get my lashes done. So for my latest trip to Bali, I got a classic set of lashes done at Hush Lash Studio. 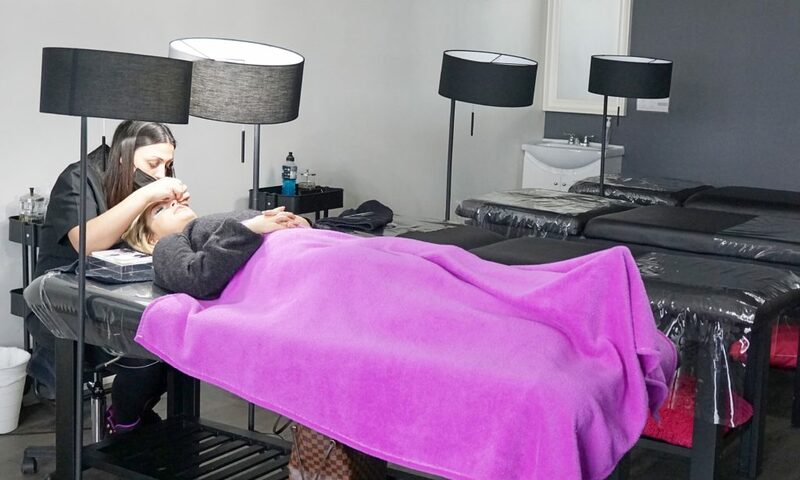 I found Hush Lash Studio on Instagram one day while searching for salons that did eyelash extensions near my house. I ended up following them, and a day or so later, they followed me back and reached out to me for a collaboration. Since I knew I wanted to get my lashes done for my vacation, I wasn’t going to let an opportunity like this pass me by! I stalked their Instagram pictures for a couple of weeks before deciding to go with their classic set. 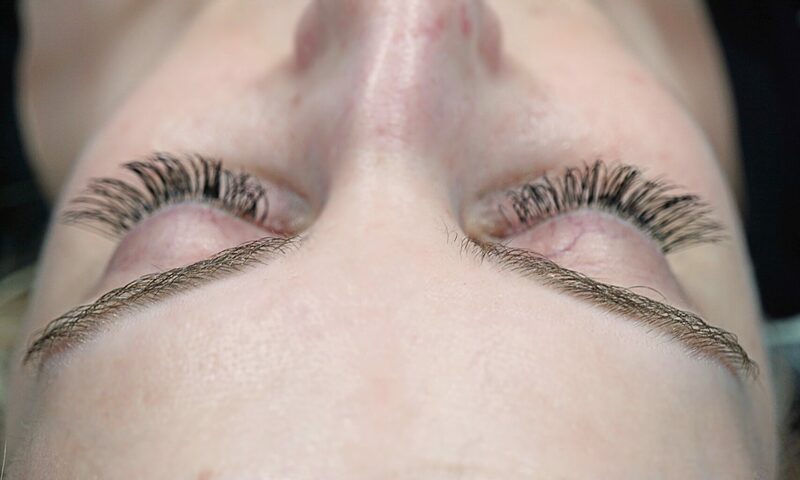 Eyelash extensions are semi-permanent, usually lasting about 2-3 weeks. Each singular synthetic eyelash is applied one by one using glue and tweezers. The session took about 2.5 hours because I had so many natural lashes. 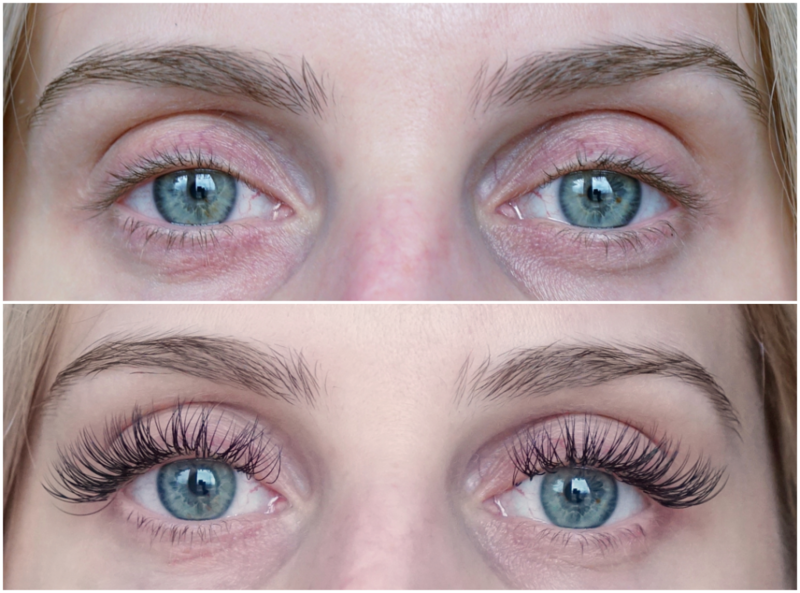 The great thing about Hush Lash Studio was that they applied as many lashes as you naturally have. Other places have been known to apply only a certain number of lashes per eye. 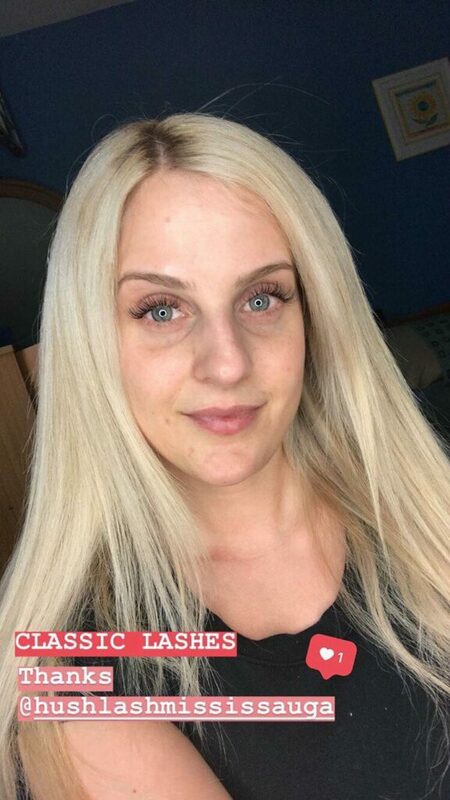 My natural lashes are blonde, so I always wear mascara to darken them. The dark contrast against my green eyes and fair skin, really make my eyes pop so I was excited to get these lash extensions. It’s best to go to your appointment a bit earlier so you can discuss the type of look you want. Depending on your eye shape and desired look, everyone’s lashes can be different. I consulted with the lash technician and we decided on going for a cat eye look (shorter to longer lashes), creating fanned out look. I think it looked great, especially with my eye shape. My lashes look pretty darn amazing! It took a while to get to used to at first, seeing as I couldn’t wash my face or rub my eyes. But it takes small sacrifices to keep up these lashes, and it was worth it! I think the next time I get my lashes done, I might go for a volume set and ask for a shorter length just to see how it would look. I think having big, deep set eyes would make volume look very extreme, but a shorter length could help make them look more “natural”. My lashes lasted me the whole 2 weeks that I was on vacation, with the normal amount of fallout expected. The only thing I noticed about these lashes was that they weren’t applied right to the root of my natural lash, so it looked like they already grew out a bit. It didn’t change how they looked or how long they lasted, but my friend did point out that my lashes looked like they grew out really fast. 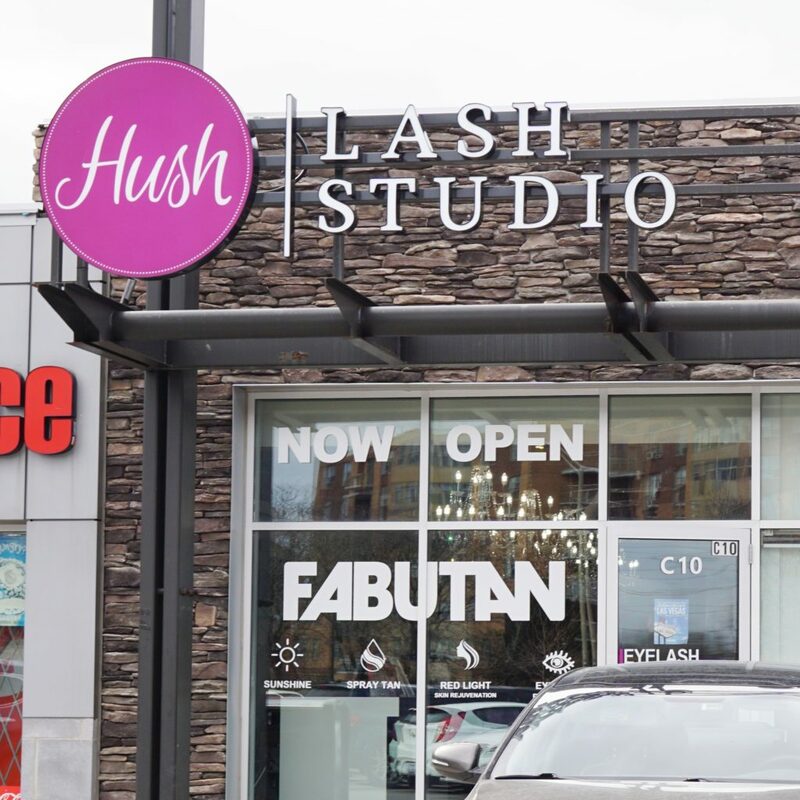 Hush Lash Studio that I went to is located in Mississauga, ON, but they have locations all over North America. I would definitely recommend going to get your lashes done at Hush Lash Studio. They took the time to explain everything they were doing, and gave me their professional opinion on what would not only look best, but what would last the longest as well. Follow Hush Lash Studio online!